If she’s widowed, she’ll be twice as likely to be the victim of financial exploitation. We spend a lot of time making sure our clients and their finances stay safe, even as they age. Are you familiar with the facts about financial exploitation and aging? 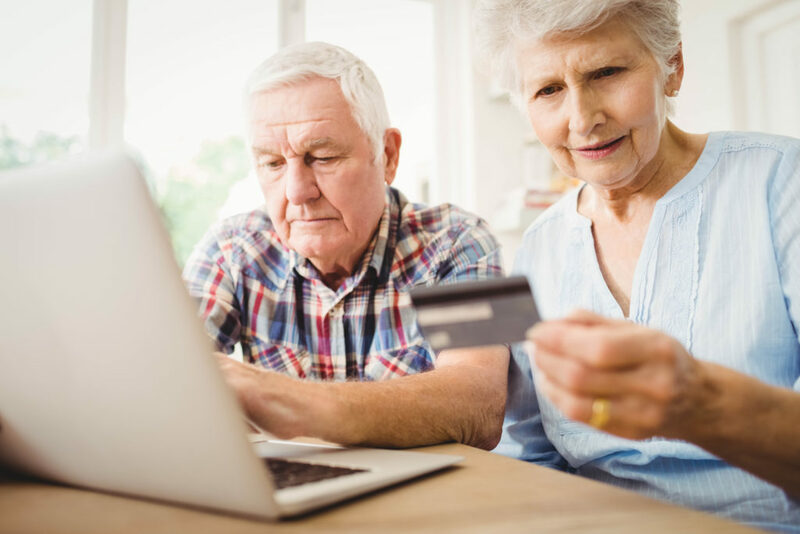 Financial abuse costs seniors billions of dollars each year. Here’s some new numbers from Greg Brumbeloe, in a recent article for Financial Advisor magazine. Brumbeloe uses the example of a hypothetical 65-year-old couple. We’ll call them Mike and Betty. Mike has a 1 in 20 chance of being a victim of financial exploitation. But if Mike dies before his wife, Betty, she is more than twice as likely to be financially exploited, simply because she’s 65 years or older and a female, says Brumbeloe. That’s just unacceptable. But with the proper protections in place, you can cut those odds significantly. One of the most important things you can do is hire a “financial bodyguard.” How exactly do you do that? Your first line of financial defense is a reputable financial advisor, daily money manager or trusted family member who helps oversee your accounts and monitor your transactions. Nothing beats a second pair of eyes when it comes to reconciling statements, double-checking withdrawals, and making sure expenses are legit. Before considering an expensive home repair or new investment scheme, lending money to a friend or family member, or making big changes in your financial situation, make sure to run it by your financial bodyguard to confirm it’s on the level and makes sense for you. Another critical protection? Draft the essential legal documents you need – like a Durable Power of Attorney – to name someone to make decisions for you if you are not able to do so. If one spouse is not comfortable handling finances on his or her own, get an advisor in place sooner rather than later, so they can establish a smooth working relationship and get basic systems in place. To make it easier to protect you and your money, new rules will go into effect starting February 2018. Firms holding your assets or financial accounts, like our preferred custodian Charles Schwab & Co, will be permitted to notify a “trusted contact person” you’ve designated in advance if there is any concern you might be the victim of financial exploitation. They’ll also be allowed to place a temporary hold on disbursing funds or securities from your account until they’ve clarified the situation. It’s just another step in the right direction to keep you and your money safe.